New listingFDC 1966 WORLD CUP, non-phosphor stamps, WEMBLEY FDI postmark, Cat £35. New listingFDC 1965 COMMONWEALTH ARTS FESTIVAL, Phosphor stamps, Southampton pm'k, Cat £18. 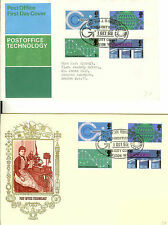 FDC 1967 PAINTINGS, with ART ON STAMPS EXHIBITION, LONDON special h/s, Cat £40. I will always do my best to answer or deal with any issues raised. 1970 SOVEREIGN MAYFLOWER VOYAGE 350TH ANNIVERSARY FIRST DAY COVER. with small dots of foxing...Dispatched with Royal Mail 2nd Class Letter. 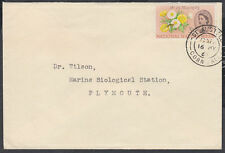 New listingFDC 1963 PARIS POSTAL CONFERENCE, phosphor stamp, envelope FDI cancel, Cat £30. 1964 Geographical Congress. Scarcer Fdc's. 1968 Christmas - Stuart - Selfridges Christmas Toy Fair H/S - Cat £ 25 ! 1968 Christmas - GPO - Selfridges Christmas Toy Fair H/S - Cat £ 25 ! Selfridges Christmas Toy Fair H/S. 1967 Christmas - Stuart - Bethlehem FDI. 1968 Christmas. Cat £ 25 ! We aim to dispatch as quickly as possible. The cover is in excellent condition but has a little bit of foxing at the top above the stamp. 1963 Paris Conference - illustrated cover. It is in very good condition and has a Cat value of £65. 1965 Commonwealth Arts Festival Phosphor Set on interesting illustrated cover. Early Fdc's. The cover is in excellent condition with clear London W.C. FDI cancel dated 18th August 1966. 1962 NPY - illustrated cover. Scarcer Fdc's. 1965 Commonwealth Arts Festival Phosphor Set on illustrated cover. Early Fdc's. 1962 NPY - illustrated cover. 1969 Cathedrals - Trident - Philatex St Paul's H/S - Cat £25 ! (Philatex St Paul's H/S. 1969 Cathedrals. twenty years …. UP TO £25 total order value). OVER £25, the order will. we have been here for. ONLY be sent by the "International Signed For". and we are. 1964 Geographical Congress - on illustrated cover. 1965 Battle of Britain Set on illustrated cover. Early Fdc's. 1969 Cathedrals - GPO - Durham CDS (Cat £50 )! (1969 Cathedrals. Durham CDS (Cat £50 )! twenty years …. UP TO £25 total order value). OVER £25, the order will. we have been here for. and we are. 1969 Ships - Philart (Gold Version) - Plymouth FDI - Cat £25 ! 1966 Westminster Abbey Set on illustrated cover. Early Fdc's. 1965 Parliament - Ord - Evesham FDI - Cat £55 ! Evesham FDI. 1964 Forth Bridge - Phos - GPO - London WC FDI. 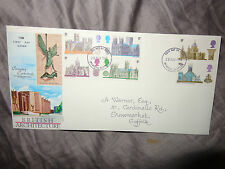 1969 Cathedrals - Exeter Cathedral Cover - Exeter FDI - SCARCE ! 1967 Discoveries - Brown & Blue Cover - Paddington FDI. 1966 Winners - Daily Sketch Cover - London EC FDI (Unusual). CAT £17.00. IN VERY FINE CONDITION. (Cancelled with a Folkestone CDS. 1965 Churchill. Relevant CDS location as Churchill was the. twenty years …. UP TO £25 total order value). OVER £25, the order will. we have been here for. and we are. It has been cancelled with a Stratford-Upon-Avon FDI cds dated 23rd April 1964. 1964 Shakespeare Festival. Scarcer Fdc's. 1968 Christmas - Philart - Selfridges Christmas Toy Fair H/S - Cat £ 25 ! 1969 Christmas - Philart (Mauve Mary) - Bethlehem FDI. Selfridges Christmas Toy Fair H/S. 1968 Christmas. Cat £ 25 ! We aim to dispatch as quickly as possible. 1967 Christmas - Stuart - Bethlehem FDI. “1963 Paris”. A lovely cover that would be a pleasure to have. ANY overseas location. 1966 Westminster Abbey Set on illustrated GPO cover. Early Fdc's. 1966 Westminster Abbey Set on Scarcer illustrated cover. Early Fdc's. 1969 Cathedrals - Connoisseur - Philatex St Paul's H/S - Cat £25 !! (Connoisseur - Philatex St Paul's Handstamp. 1969 Cathedrals. Cat £25 ! twenty years …. UP TO £25 total order value). OVER £25, the order will. we have been here for. and we are. Collectible little item, well looked after. Dedicated Support. Plus save at least 10% in our monthly sales. Competitively Priced. Regular Monthly Sale. ::: UK Cover Lover ::. 1965 United Nations Set on illustrated cover. Early Fdc's. 1973 County Cricket Centenary - official T.C.C.B. illustrated cover. Scarcer Fdc's. FDC 1968 BRITISH BRIDGES, Bridge, Kent special hand stamp, Cat £11.